A car was just inches from plunging into the water in Boston's Charlestown neighborhood. Police are investigating how a motorist drove off a pier in Boston's Charlestown neighborhood Wednesday afternoon. Sky Ranger showed the car teetering off the pier near Constellation Wharf. Firefighters told NBC10 Boston the elderly couple inside the vehicle were not hurt. 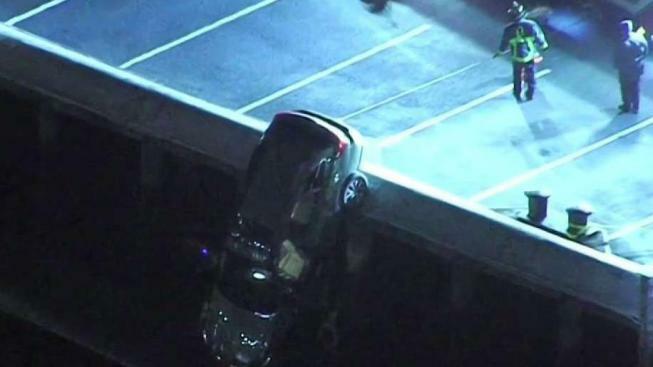 "They were turning around and he hit the gas by accident and that caused the car to go over the edge of the pier," said Boston Fire spokesman Brian Alkins. Stunned customers at the nearby Pier 6 restaurant watched in awe as neighbors took in the view from across the harbor. Fire officials say the floating dock and the staff at Pier 6 helped keep the couple safe. "People from the restaurant at Pier 6 helped them get out of the car," Alkins said.